Juju music maestro, Dr Sunday Adeniyi Adegeye (aka King Sunny Ade or KSA) had reasons to sing police praises today after special intelligence officers at the Lagos State Police Command busted a fraud-syndicate operating in his name. 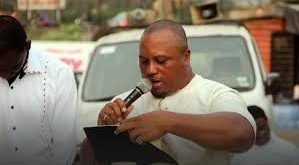 The Juju Music maestro said the fraudsters had robbed him of his peace of mind as their victims kept calling him day and night thinking he was the one behind Instagram and Twitter accounts opened in his name to defraud close to 100 people so far uncovered by detectives. Three suspects arrested by the police were found to have opened the Instagram and Twitter accounts in the name kingsunnyademusic to advertise a fake USA/UK Musical tour that raked in millions of naira for them. The prime suspect was identified as 27-year-old Oluwafemi Lawrence Oyedokun, who is the Personal Assistant on Social Media and Publicity to a Nigerian actor and film-maker, Alhaji Yinka Quadri. He has, however, absolved Quadri of any complicity in the crime when he was quizzed at the Special Investigations Bureau (SIB), at Lagos State Command Headquarters, Ikeja. The police also arrested Oyedokun’s Ondo-based girlfriend – Rebecca Oyebode, 23, and his Oyo-based friend Oyewunmi Abiodun Ridwan, 27, who had allegedly opened several bank accounts including a Diamond Bank account – 0028331958, in the name of Ekundayo Yinka; a FCMB account – 5043577019, in the name of Ayoola Zainab, and GTB account – 0114461866, in the name of Nafeesat Adejumoke and UBA account – 2087728165, UBA, Oyebode Rebecca Abiodun. Detectives have so far traced a total of N3, 111, 175 obtained from 61 victims. They also uncovered cash inflows ranging from 22 to 33 victims in a day, even as the suspects are already in detention. Oyedokun, who dropped out of Osun State College of Education, Ilesha, in his second year as an English and political science student, said the bogus scheme was his brainchild. Oyedokun rides a Camry car which he claimed he bought three years ago. 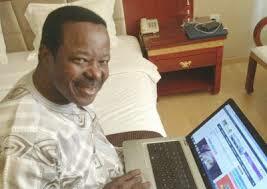 To ensure that people are no longer defrauded through fake social media accounts, King Sunny Ade named his actual Instagram account as officialkingsunnyade, and the Twitteraccount as iamkingsunnyade.